As an added convenience to our clients and local residents, AZ Dog Sports started offering Dog Walking Services for several parts of the valley! Weekly or Monthly dog walking service available with a minimum of 3 walks per week. $20 per 45 minute walk, paid monthly to AZ Dog Sports by credit card on file. Daily walks while you are at work keeps your dog exercised and happy! Call us to schedule our dog walking service now! We use modern, clean, safe and insured affiliated facilities. These are off premises. We train your dog the number of days you wish while being boarded, or supervised in the home environment. Dogs must be current on shots and Bordetella vaccine. Pick up and drop off should be scheduled with the boarding facility. Prices start at $50.00 per day for boarding 1-2 dogs. Boarding facility pricing may vary. $50.00 additional for training, for 1 hour in a small group class or your home. ALL AZ DOG SPORTS DOG WALKERS & PET SITTERS have completed our Certified Behavior Fundamentals and Hands-On Positive Training classes. These classes include, Canine Body Language, learning about different breeds, handling & equipment training and Positive Training Methodologies. 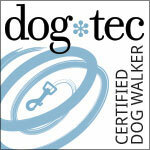 Don is our Certified Dog-Walking Supervisor (certified via AZ Dog Smart Academy). He is also a Puppy Trainer, Day-Trainer and Pet-Sitter. 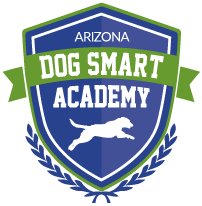 Through AZ Dog Smart Academy, Don has learned positive training methods, handling and equipment skills. He does pet-sitting in your home or boarding at his own home. Don is the Foster Home Coordinator for B.F.F. Rescue and volunteers part time with Caring For Canines. 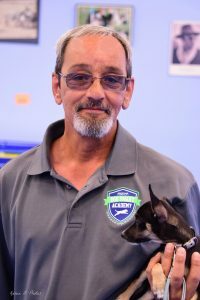 Don brings his years of experience to AZ Dog Sports including work as a Vet Tech. Devon is a Certified Dog-Walker, Pet-Sitter and Professional Training Handler who received his certifications from our AZ Dog Smart Academy. 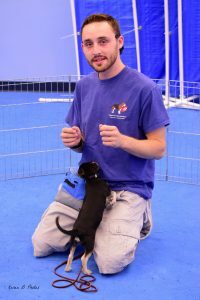 He is also currently working as a trainer in Puppy Classes and our Canine Adventure classes. He is a valuable member of B.F.F. Rescue foster program working monthly adoption events and helps train foster dogs in order to make them more adoptable. Call us to set up a personalized dog-walking schedule for you!